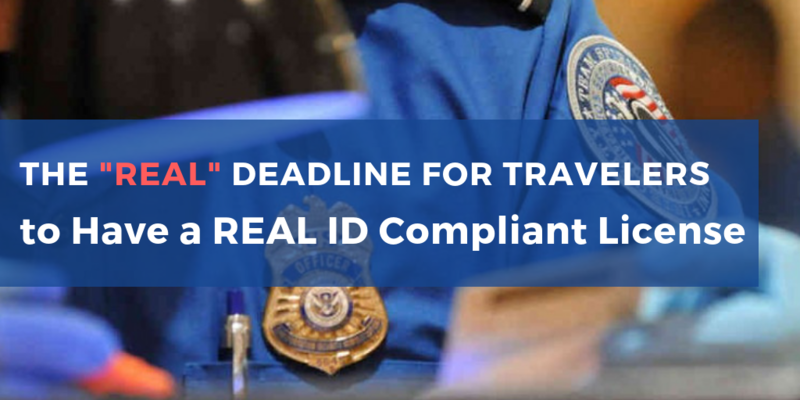 As states continue to become compliant with the REAL ID Act, which sets universal, nation-wide standards for identification (i.e. driver’s licenses), there is still mounting confusion for companies and their corporate travelers over which enforcement deadlines to pay attention to. To break it down, there are two deadline types you should know about, and the latter is the most relevant for travelers. 33 states and Washington, D.C. are already issuing licenses and identification cards that meet the new standards. The other 17 states and five U.S. territories have extensions which expire on October 10, 2018. Starting that day, travelers in non-compliant states that do not have extensions will not be able to use their driver’s licenses at TSA checkpoints in U.S. airports. Before you panic, remember that further extensions are likely to be issued. That said, if your state isn’t REAL ID ready, make sure you or your travelers have a passport or alternative identification on-hand to show at the airport. 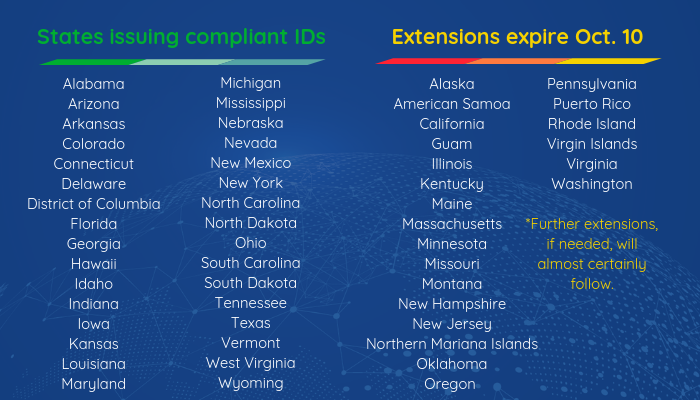 See below for the current list of compliant vs. non-compliant states. To monitor your state’s status moving forward, click here. By October 1, 2020, every air traveler will need a REAL ID compliant license, or another form of identification, for domestic air travel. Although that’s more than two years away, it’s not too early to educate and prepare travelers. For example, if travelers take steps to get their REAL ID driver’s licenses sooner, rather than later, they can avoid the headache and stress of rushing out to get a new license right before a scheduled trip. If your state is compliant, why not get a new REAL ID driver’s license now? Check your state’s DMV website for more information on how to apply for or renew your identification. Questions, comments, or concerns? Drop us a line below.